As you can see in raw whois data guide, whois record can have different format and it's uncomfortably in some cases. Our structured (parsed) data helping to find necessary information, so customer can do not worry where to find domain's expiration date. The best way to understand how it working - try different domains and modes on online whois lookup demo, it's free tool. 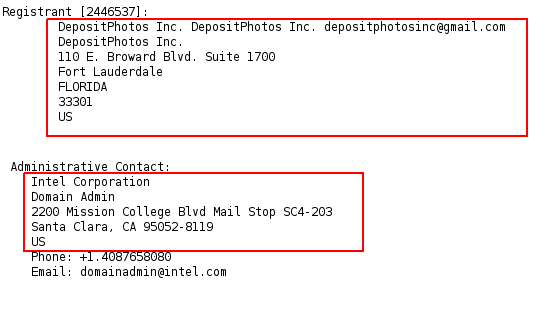 You can also see XML data that was downloaded through our Whois API: amd.com, intel.com, opencourt.us, eonline.ca. information about domain registration - "yes" or "no"